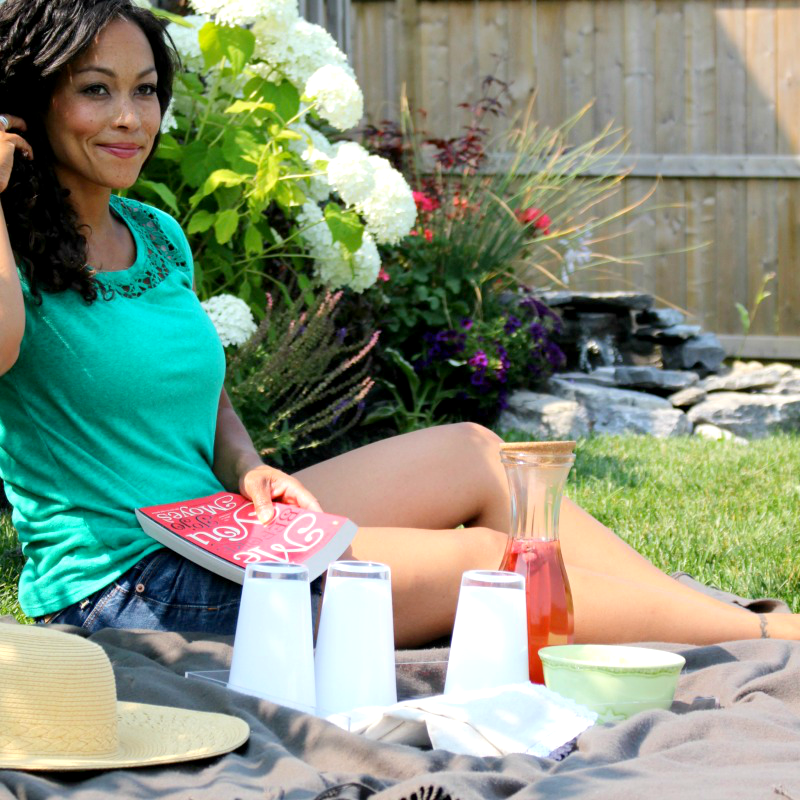 elliven studio: Backyard Vibes & #Worldsbiggestbookclub July Pick! Backyard Vibes & #Worldsbiggestbookclub July Pick! It's taken three years, but we finally feel that our backyard is 99% of what we had hoped it would be. It feels like it takes so long for plants to grow when you plant a garden, cause well, it does! But patience truly does pay off! We love hanging out in the backyard and the other day, I threw down a comfy blanket next to the pond, to sit on while the kids played catch. If you haven't picked up this month's #worldsbiggestbookclub pick, you must! Or, you should definitely consider it ;) I posted a pic of it on Instagram and so many people commented about how much they loved it! The book: Me Before You by Jojo Moyes. It's wonderfully written and it's only $10 right now! The twitter chat will be happening on July 29th at 1pm EST. Be sure to join in on the fun and don't forget to use the hashtag #worldsbiggestbookclub!